Most bloggers or new bloggers never bothered about using the Dofollow and Nofollow tag as they don’t know how it works or what it does, in this post I will give a clear definition of Dofollow and Nofollow tags and when to use them. A nofollow tag is used when you are sharing an external link on your blog that is not relevant or considered useless. 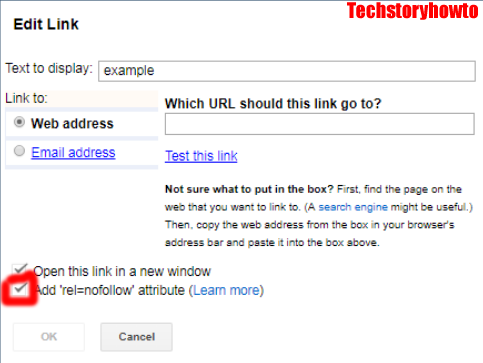 When you apply nofollow tag to a link it means no link juice will be passed to the shared link from your blog. When To Use Nofollow Tag? You should add nofollow tag to external link ( links that are not relevant to your blog or outside your blog ) such as backlinks but that those not mean you always have to add nofollow to every link outside your blog, you can also share external links on your blog with do-follow tag like links in the same niche with your blog. Competitors in your category like Google, Bing, Microsoft and the rest. It increases your page rank on search because link juice will not be passed to those links. 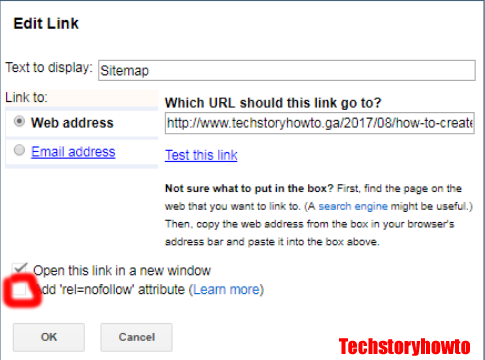 You must not add nofollow to internal links from your blog.What is Internal Link? internal link are links that are linked from one page of your blog to another page of your blog by interlinking to older page/post of your blog by doing so you keep those pages/post alive and makes it easy for search engines crawlers to re-index those post/page, it very important to use dofollow tag to all internal links unless they are considered useless or irrelevant such as links to comments. By adding the dofollow tag to your internal links the homepage PR(Page Rank)flows in balance this helps the robots crawl your site thoroughly as that of a Sitemap. I hope this article has helped you in understanding how to use and when to use dofollow and nofollow tag, if you have not been using this tags, correctly try and make a difference. I'm new to blogging as of December 2016 and I had no idea what these terms meant until today! Thanks for the info!! Learn something new everyday! So, I have my WP blog and I make links. How do I make dofollow/nofollow appear? According to my understanding, you should add "nofollow" tag to every link that you're gonna be compensated for that you use on your blog. If you're doing affiliate marketing through your blog, all those links are supposed to have "nofollow" tag. Very interesting! I had no idea. With Weebly, I think this is taken care of for me through their interface of drag and drop functions but it's good to know for the future! Thanks for the info , I am a bit of a noob in the blogging world. I’ve heard these terms but we’re only half clear on them, you helped me to understand a lot better. I had no idea what this was until now and I've been blogging for several years now! Thank you so much for the information! It does help a little bit. I'm not sure I will understand though. Really informative post. I have been using nofollow for a long time for external links. This is really very good and informative, thank you for sharing. Great advice for any one posting who is linking to a brand. I have never heard of either of these terms. I will keep your tips in mind to utilize in the future. OMGoodness this was so helpful. I wondered why I was automatically following people. Good stuff! It is so important to do this especially when you are doing sponsored post, and when you are tagging yourself or other blogs. Thank you so much for writing such a resourceful article. No idea what you are talking about. I do a lot of internal linking. This can be complicated and its really important to learn these. Its definitely important especially when doing sponsored content with certain brands. Wow! You know what, I Had NO idea what these were or that they even existed! Thank you for this! I am curious as to the no follow and do follow attributes. I have never seen this when it comes to doing links. I would love to see where this is on WordPress. Awesome post on Do follow and No follow. Thank you for sharing this post with us. Now I will share your post. Am glad the post was helpful.